The advantages of cold formed steel (CFS) applications are endless. Whatever your role within the construction industry, the best way to demonstrate the versatility that CFS can bring to construction projects of all sizes, is through case studies. Chapter 3 in our new eBook “The Endless Possibilities of Cold Formed Steel Applications” looks closely at CFS applications and methodologies in the residential and non-residential sectors.We’ve provided the chapter below to give you a "sneak peek" into how CFS can work for your construction projects in a range of building applications. 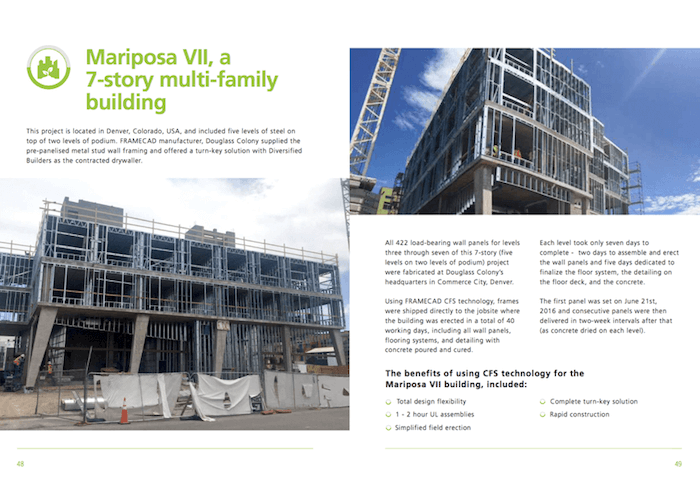 Reading our “Endless Possibilities of Cold Formed Steel Applications” eBook will give you a comprehensive look at how CFS can work wonders for your company projects, using a wide range of construction applications.